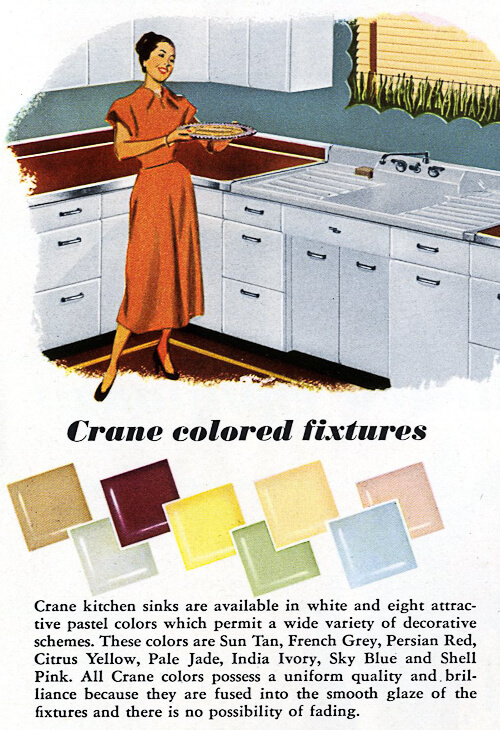 Several readers have asked about color combo’s for their yellow kitchens, including what I thought of a turquoise/aquamarine floor. Hey – this works fine, don’t you think? Aquamarine actually has more yellow than blue in it. And how about the pink walls – including the butterfly wallpaper. Another readers asked about installing boomerang/chevron pulls on cabinet doors vertically. This looks great, too! Finally, re the floor – notice the three stripes of darker green vinyl tile interrupting the mass of floor… nice, without overdoing it. 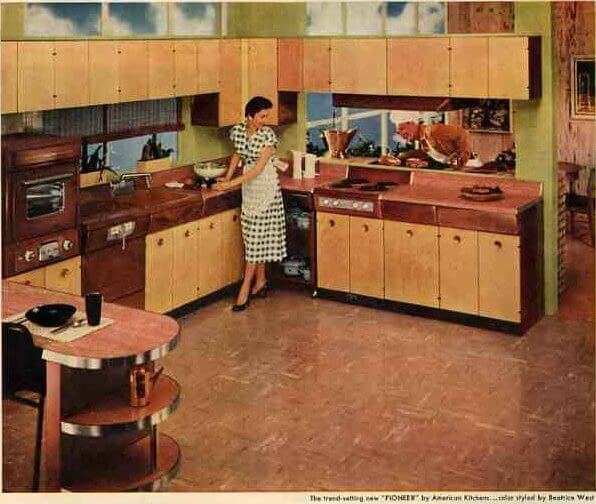 Altogether… such a well-designed kitchen! Thanks to Java1888 from flickr for the photo — he has TONS of great vintage images on his photostream, he’s one of my very favorites! 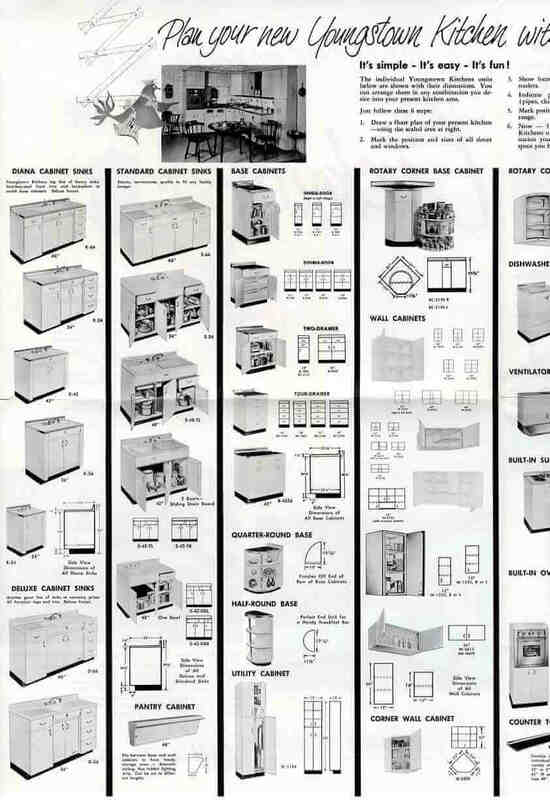 Image: Youngstown Kitchens. So sweet and yummy, but not too over-done or cutesy… The kitchen table and lamp add some “edge” with a modern touch. Love it!!! 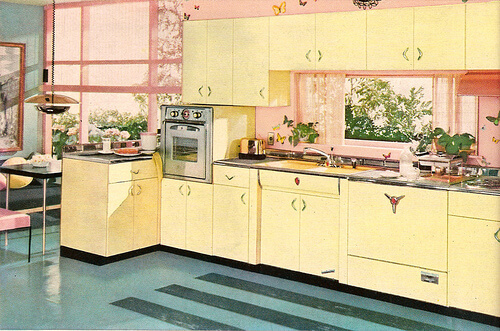 I’ve been going crazy trying to decide on a pattern for our kitchen floor – now here’s another option, dang it! 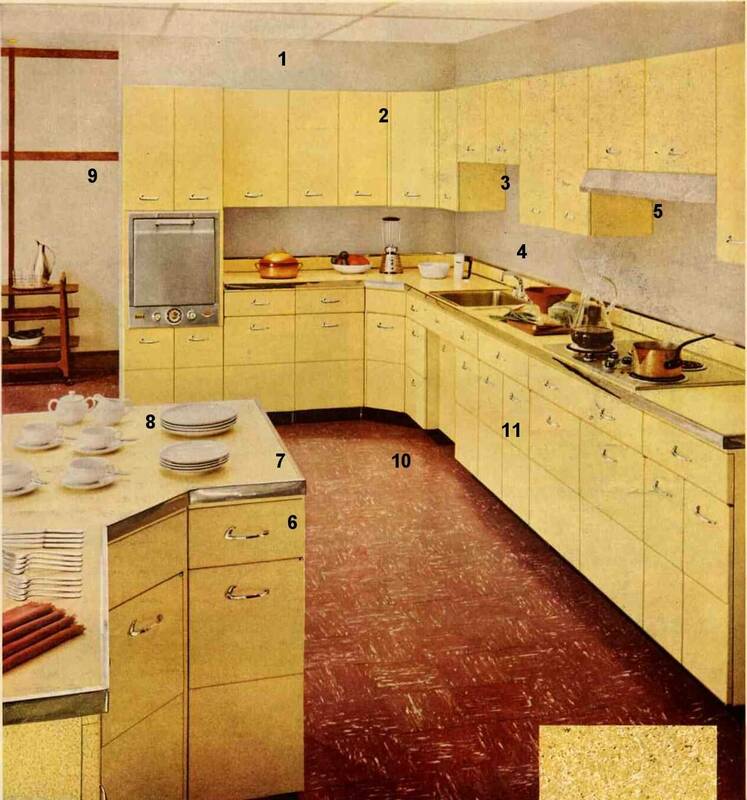 Love it …I remember Doris Day had a great yellow kitchen in Pillow Talk…more early 60’s though..